Photos from two trips on the same day. Piskaryovskoye Memorial Cemetery holds over 500,000 victims of the Leningrad Blockade, when axis forces had the city surrounded and almost completely cut off from the outside for nearly 900 days. 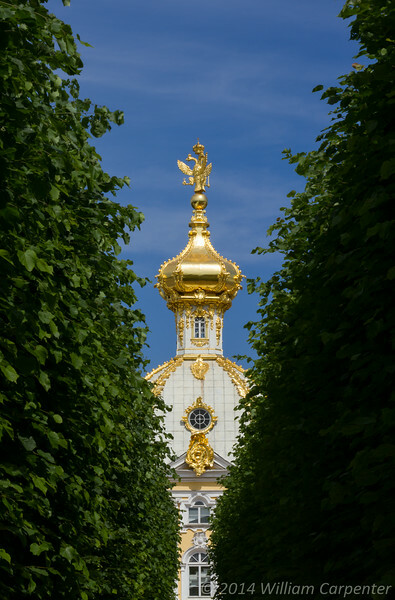 In an almost inappropriate contrast, Peterhof was the summer residence of the tsars, and glistens with opulence. The only reason these two are together in the same album is that I did not get enough photos at either one to justify two albums. I did not get to spend much time at the cemetery, and Peterhof is too crowded to present many good photo ops. The one bit of "art" I did manage to attempt.